At Dove Home Care we ensure that you or your loved ones are cared for and supported through the night. You will have the peace of mind to know that you have trained carers who will be there to help you in whatever way you need. We can assist with toileting, turning in bed, emptying catheter bags, pressure sore management, medication or prompting if a person is suffering from dementia. We will come and do a free consultation and from then, will devise a dedicated care plan, which will outline your care needs and wishes. We will follow up with contact to make sure that this care plan meets those needs and that you are happy and satisfied with our carers. You may need to seek overnight care for yourself or loved one if you have recently been discharged from hospital and this will help with building up your confidence and to regain your independence. We are flexible to change your care plan to suit your needs, either increasing the level of care needed or reducing it. You will be able to contact us either by phone or email, and we will send you through a printed roster of your plan so that you will be aware of the times and also the name of the member of staff who will be coming. 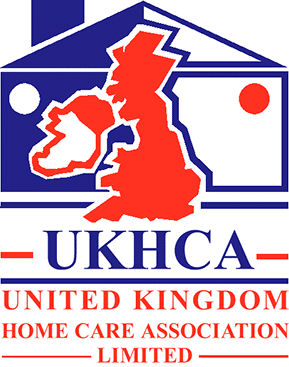 Please feel free to request for our home care brochure. Everybody’s need for overnight care is unique which is why are carers are unique, over the years people have called us “Dovetts”, as they realize what is common to all our staff is their dedication and caring attitude. We train our carers to specialize in various areas of care, dementia, heart disease, M.S., Parkinsons’ disease to name but a few. Night care is specialized in the sense that if a staff member is doing a working night they are not permitted to work the following morning. We listen carefully to your comments about our care provision and carry out quality checks to make sure we are meeting your needs so that we can provide a high level of care and give you real peace of mind. Overnight care whether for a short period or for a more pro-longed time, can not only ease anxiety but help in gaining strength and re-building confidence to enable you to regain independence where ever possible. It can also highlight areas of risk and concern which can be addressed and so prevent problems from arising, such as falls, wandering in the night, missed medication and many more. Most people take a good night’s sleep for granted, but after a period in hospital, or a disturbed pattern of sleep, they may need the assurance of someone in their home to call for help, especially if family members live too far away to be there for them.